1. 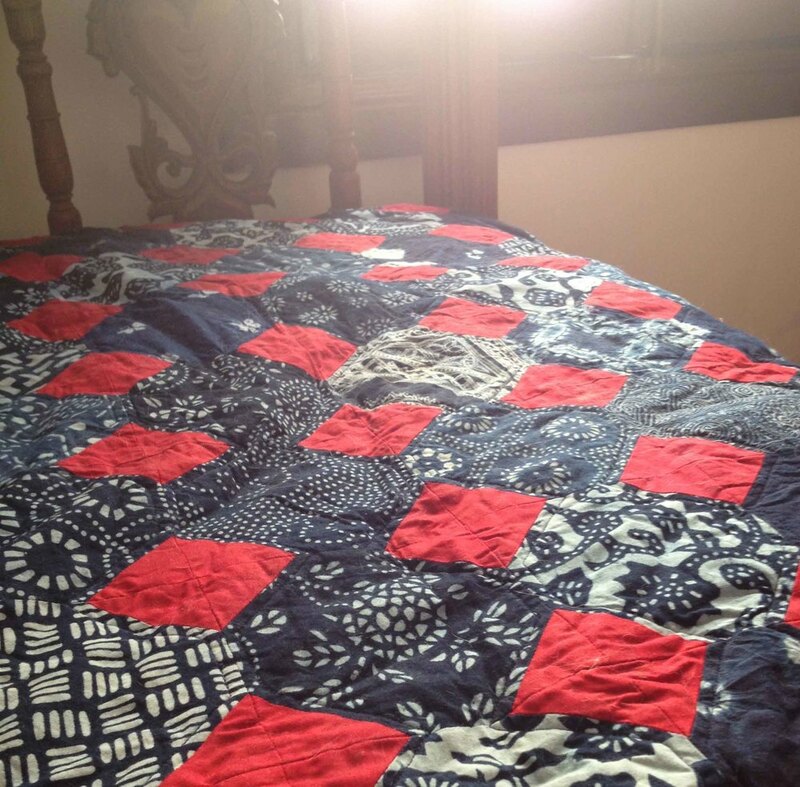 Finish quilting on indigo quilt, and cut edging. Win! The quilt is done and one the bed. It bled like crazy despite an entire box of color catchers. Every weirder, the color catchers picked up some red dye, but no indigo - and it was the indigo that bled! Luckily, a second wash cleared most of it up. Win! Basil was one of the few things in the garden that did really, really well. I ended up with 3/12 half-pint jars of preserve. It nearly doubles in volume when converted to pesto, and makes an amazing cracker topping just as it is. 3. Card five batts from Lincoln fleece. Win! The fleece is a dream to spin. Sending out the fiber love to Rivercroft Farm in Maine - y'all raise great fleece!